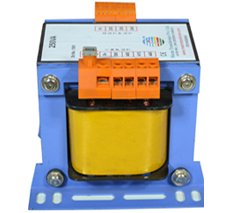 We have firmly positioned ourselves as the most predominant Single Phase Control Transformer Manufacturer in India. These are made using premium quality material to ensure quality and durability. 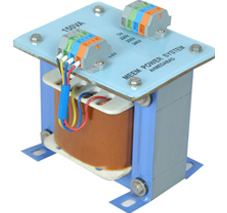 Single Phase Transformers are designed to meet most exclusive and specific requirements. These transformers are so manufactured to resist the high levels of electrical, thermal and mechanical stress to which they are subject during utilization. 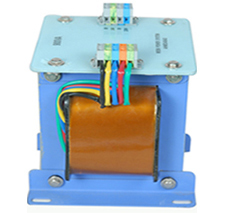 Our single phase transformers comes with auto wound step-up step-down with eight position rotary switch , low tension naturally air cooled tape wound /resign . These devices offer quiet, long lasting operation and endless design options. 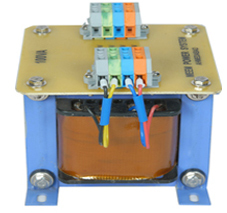 The Single Phase Power Transformer made available by us is accessible up to 3000 VA. Single Phase Transformers are made accessible in various models, which differ based on horsepower range, taps, mounting type, dimensions, KVA and shipping weight. Our Single Phase Transformers finds application in Telecommunications, Data processing equipment, Transmission lines, Photocopying machines, Tool machines and other electronic equipment.